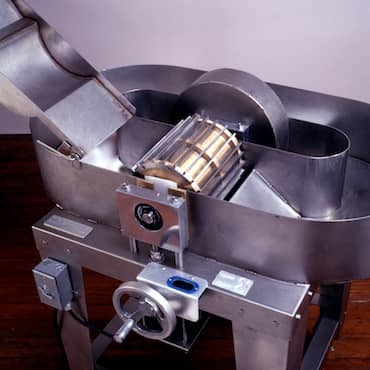 A Hollander beater is capable of developing special properties of bonding, strength, translucency and color intensity in pulp and paper. We recommend the Reina beater, which is rugged, dependable, and highly suitable for a professional hand papermaking studio. We have been using one in our studio for years, and find it ideal. 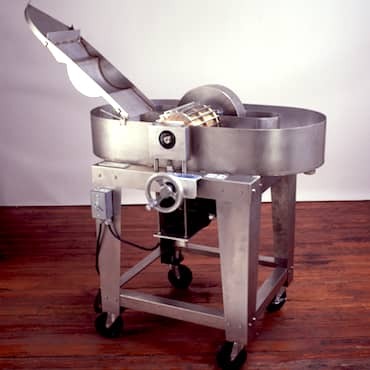 It features a traditional Hollander design, with an adjustable roll operated by a hand crank, for precision beating. The beater is easy to clean and maintain. Its capacity is 2 pounds of dry fiber or pulp, with 14 gallons of water. It comes assembled, with its own stand of heavy gauge stainless steel. Stainless steel is used for the tub, bedplate, shaft, cover and beater bars. The bars are set into a bronze roll. Motor is 1 h.p.